I’d always wondered how quickly I could insert my foot into my mouth. Generally it takes a few minutes into a conversation, but I exceeded even my own expectations when I tasted the soles of my shoes ten seconds into HealtheVoices 2016, establishing a new personal record (and you thought PRs were only for athletic achievements!). 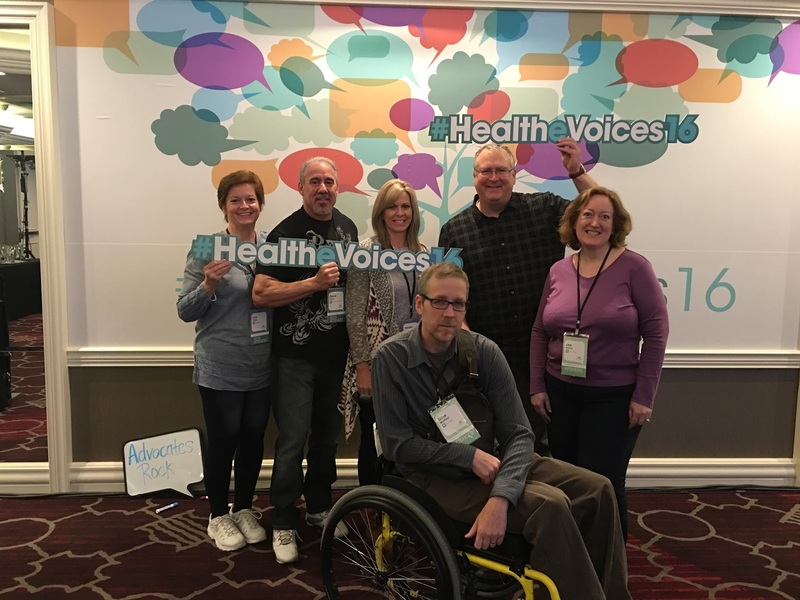 When I was invited, all expenses paid, to attend and participate in HealtheVoices 2016 in Chicago, “a first-of-its-kind, weekend-long conference that brings together online advocates from across various health conditions,” I immediately wondered, um, why. The event was sponsored by Janssen Pharmaceuticals (along with Everyday Health), which currently only dabbles in multiple sclerosis research--there was nothing concrete in the pipeline for my disease. And the premise of the conference sounded sketchy--“to provide valuable content, such as tips to further engage and grow an audience; thought-provoking conversation; and networking opportunities for online health advocates”--triggering my pharma-dar to go off. Lots of giving, not much taking. Suspicious. What was the catch? So I asked. The vice president. 10 seconds into the conference. Oh, Dave. 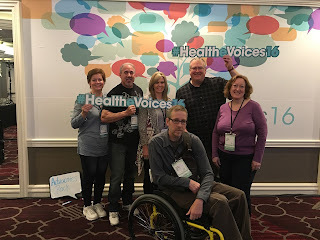 Okay, a few disclaimers: a) I did not know that Linda Fedow was the VP (aka, the “boss-boss” according to others at Janssen) when I half-jokingly said I didn’t want to speak to a Janssen rep (after all I was excited to meet the other 90+ patient advocates, all of whom I had diligently researched beforehand), b) after I discovered she was the boss-boss, I immediately quizzed her on the wisdom of my presence, and c) yes, I did tell her I should be next years’ keynote speaker… before discovering the two speakers for this event were Jamie Heywood, co-founder of www.PatientsLikeMe.com, and Kevin Pho, the doc behind www.KevinMD.com. Oh, Dave. 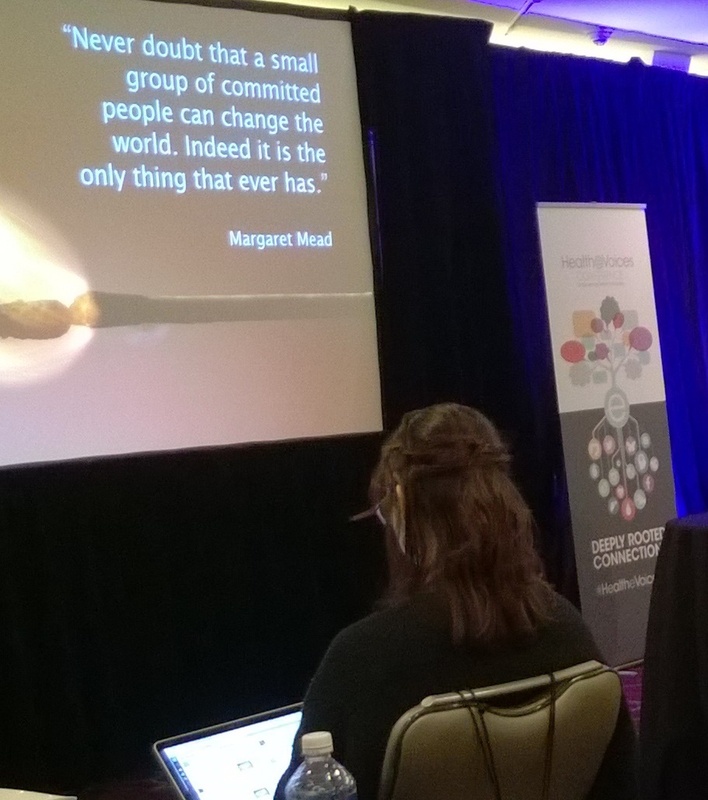 I was surrounded by social media rock stars in patient health advocacy… 300K Twitter followers, 100K Facebook likes, a zillion subscribers on YouTube were not uncommon. On the MS front, I finally got to meet the one and only Trevis Gleason (http://trevislgleason.com/) who blogs for Everyday Health. 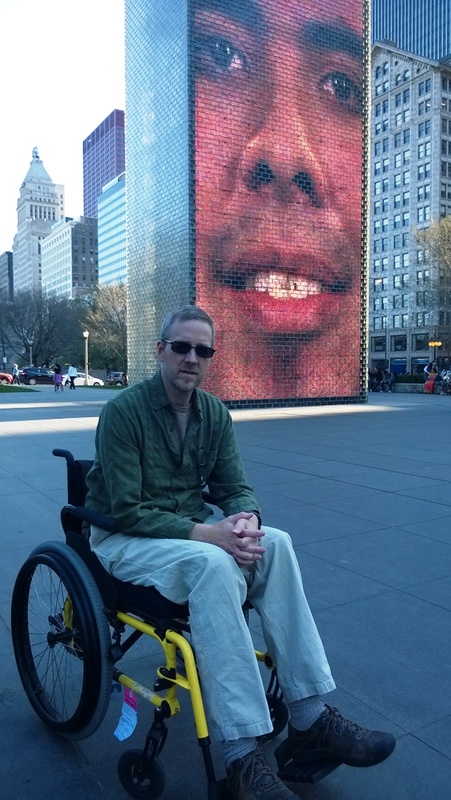 We both started blogging 10 years ago (ActiveMSers launched just a couple weeks before Trevis’ blog), making the two of us arguably the longest tenured MS bloggers on the planet. Longtime buds Lisa Emrich (Carnival of MS Bloggers), Lisa Dasis (MS Lisa Says), and David Lyons (MSFitness Challenge) rounded out the MS contingency, although another blogger—a breast cancer survivor—had been recently diagnosed with multiple sclerosis. Ann Marie probably wasn't rah-rah thrilled about joining our team, but she's an awesome fighter and has that kind of attitude all of us with challenges need to channel. It’s hard to point to one highlight. The educational breakout sessions were fantastic and chock-full of sage advice, tips, and industry tricks. Speakers confirmed what I suspected--that I’m not doing enough video, I need to pay more attention to analytics, and I need to post more regularly. I also learned that I’m doing a lot of things right already--following the rules of the blogging road legally, connecting with you all across multiple platforms (did you know I just started an Instagram account? ), and being authentic, honest, and true. The keynote speakers were engaging and practiced (albeit slightly removed from the patient perspective), the networking opportunities were bountiful, and the entire event team was beyond helpful and courteous to a fault. Best of all, I made a bunch of new besties, far too many to list. Britt at The Hurt Blogger, Marisa at Lupus Chick, Ryan at Crohn’s Guy, Jaime at Pretty Rotten Guts, Josh at I’m Still Josh, Julie at It’sJust a Bad Day, and on and on. 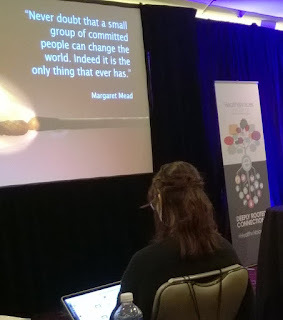 It was inspiring and empowering to share the same oxygen as nearly 100 luminaries from the health advocacy world. And the crazy thing: everyone was fantastically upbeat, optimistic, and hopeful, even though virtually all of us were burdened with a serious condition (often multiple conditions), most of them entirely invisible to the uneducated. Heck, we all looked sooo healthy to outsiders! 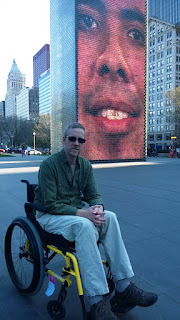 (In fact, I was one of the only visibly disabled attendees, and the only one using a wheelchair.) If they only knew…. And one day they will. As our collective patient voices continue to get louder, thanks in part to events like these, more and more people will know and comprehend (at least a little) the struggles of those facing chronic health problems and the importance of finding better treatments and, ultimately, cures. But more importantly, our voices will continue to spread, reaching those most in need of hearing of them—those who share our conditions and need support, education, and the reassurance that life goes on. No matter what the heavens throw at us. Hope to see everyone for HeatheVoices 2017… even if I’m not your keynote speaker, Linda.